Ancient rivers, glacial retreat, and continued run-off eroded the landscape creating lowlands and valleys while leaving high plains that once covered the area of modern-day Calgary. Evidence of these highlands are still visible within the city limits at sites such as Broadcast Hill and Nose Hill Park. Additional evidence is provided by glacial erratics; large boulders that were left behind as these enormous glaciers scoured the landscape during their retreat. These seemingly out of place stones dot the landscape from Montana to Jasper, providing important historical links to a time when massive ice sheets blanketed the landscape. This narrow train of glacial erratics runs parallel to the Rockies eastern slope and are all connected geologically. The largest and most famous erratic is the Big Rock near Okotoks, but several erratics can be found within Calgary’s green spaces such as Paskapoo Slopes, the aptly named “Split Rock” in Nose Creek Park and even Nose Hill. But how did the area go from glacier ice to bustling urban park? Let’s have a look. 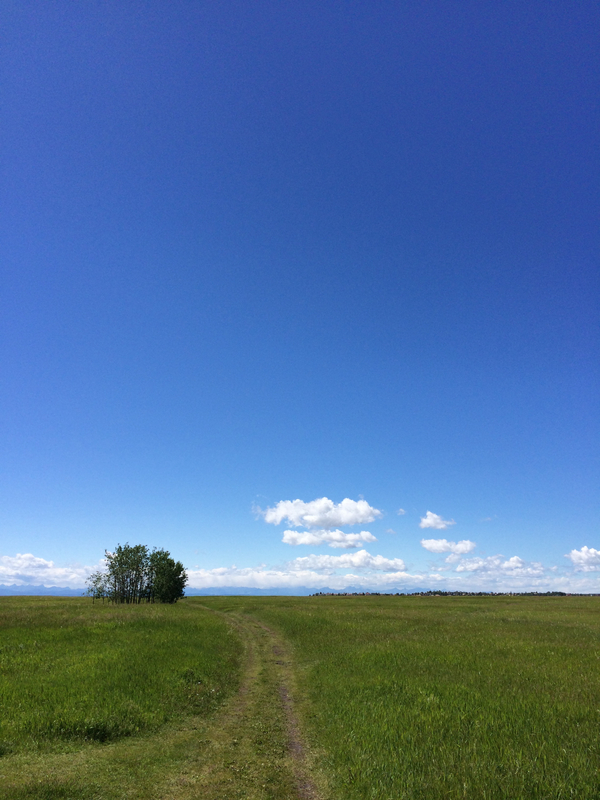 Today Nose Hill Park is cherished by many Calgarians as a wilderness refuge from a bustling urban lifestyle, but the park has a rich history and many secrets that are just waiting to be discovered. Likely the biggest mystery is the park’s unique moniker. Theories abound about how the park earned the name Nose Hill. The brutal story above depicting a Blackfoot woman is just one such legend, but likely the most prevalent and accepted notion is that from certain vantage points and with a little imagination the park actually resembles a nose. Nose Hill was a valuable vantage point for First Nation groups and was used for centuries to survey the sea of surrounding prairie. It is believed that elevated landscapes allow for closer contact with the spiritual realm as spirits travel faster in high, windy places. In this way Nose Hill was a popular location for campsites, burials, and ceremonies. Archaeological evidence still exists in the form of tipi rings and stone cairns, forever marking Nose Hill as a place of great spiritual and cultural importance. In 2015, as part of the Blackfoot Confederacy conference, the Siksikaitsitapi constructed a stone medicine wheel in the southeast corner of the park. It was built as a living testament to the area’s varied history and as a gift to the city’s residents. ~Andy Black Water, a ceremonial elder from the Blood Tribe who helped create the monument. As settlers started moving westward the physical and cultural landscape around Nose Hill began to change. In 1882 the Dominion granted the first land occupancy to allow livestock grazing on the hill’s fertile slopes. Then in the early 1900’s farmers began cultivating crops in the area, a decades long practice which is still reflected in the park’s vegetation today. As Calgary steadily grew during the 1960’s the gravel deposits on Nose Hill were mined for construction projects. Much of the sandstone taken from Nose Hill and surrounding area can still be seen in Calgary’s historic public buildings in the downtown core. 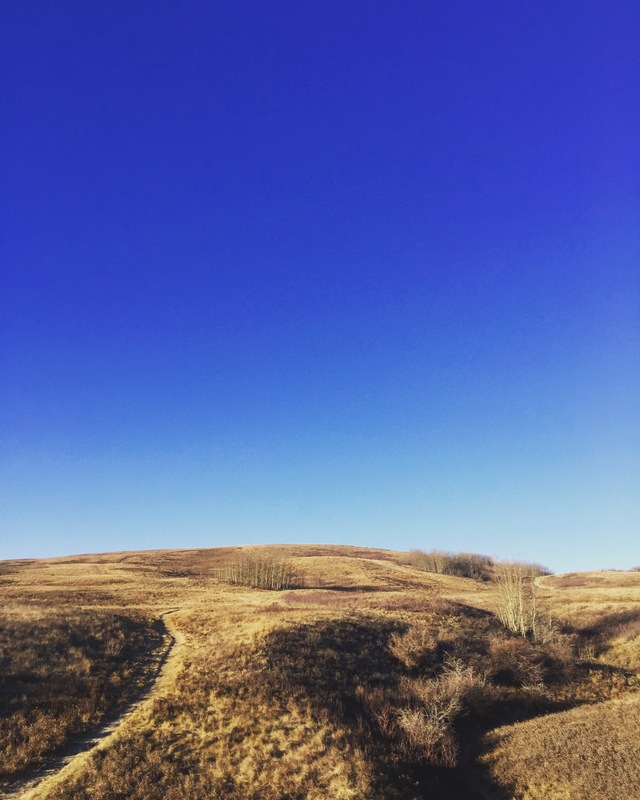 Crumbling foundations and a gravel pit that is slowly being reclaimed by nature are virtually all that remain from Nose Hill’s farming, ranching, and industrial era. 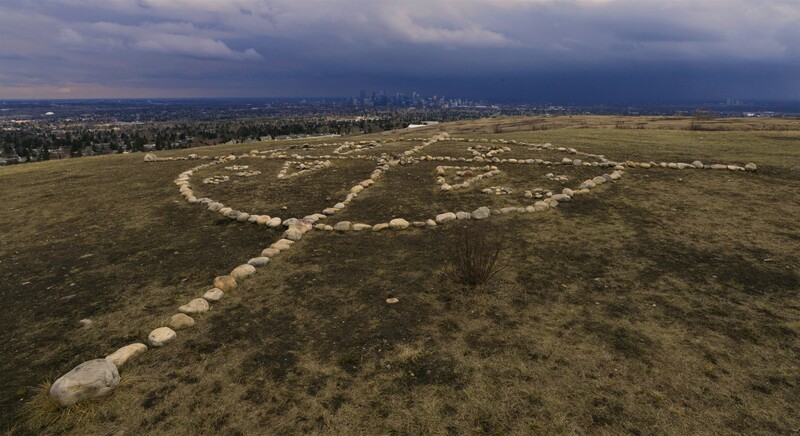 In the late 1970’s Nose Hill was slated for residential development, but citizen backlash and a slew of protests saved the area from becoming just another Calgary neighbourhood. 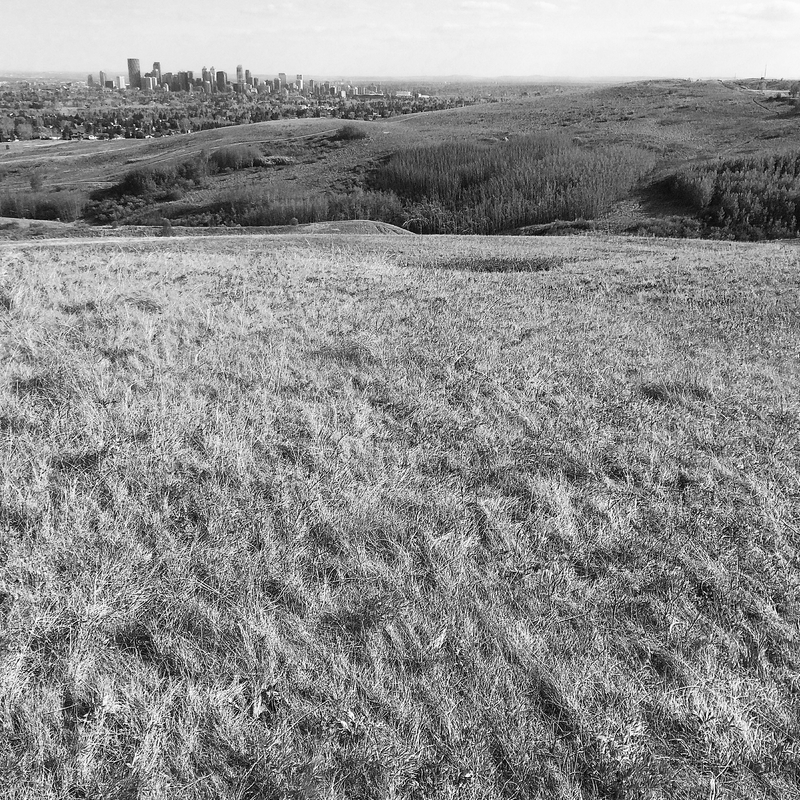 Nose Hill was officially recognized as a city park in 1980. 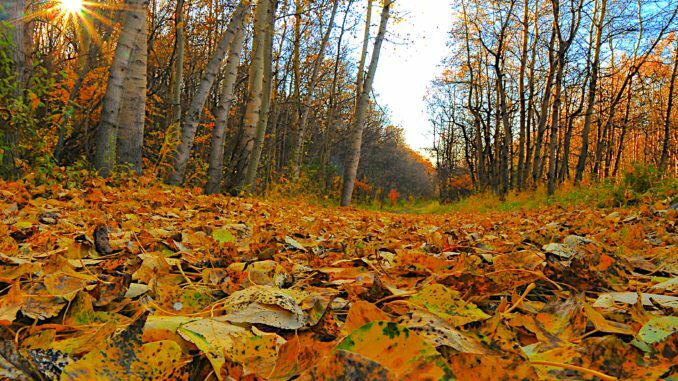 The eleven-square-kilometre park is easily the biggest natural area within the city (Fish Creek is considered a provincial park) and one of the largest urban parks in all of Canada. 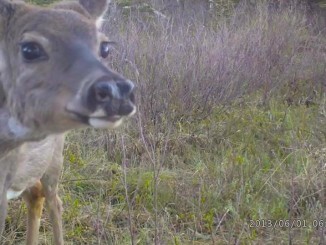 Today the island of Rough Fescue Grassland is surrounded by a sea of concrete, including twelve neighbourhoods and three major roadways, and yet the park is a thriving ecosystem for many plants and animals, including large mammals such as deer and coyotes. 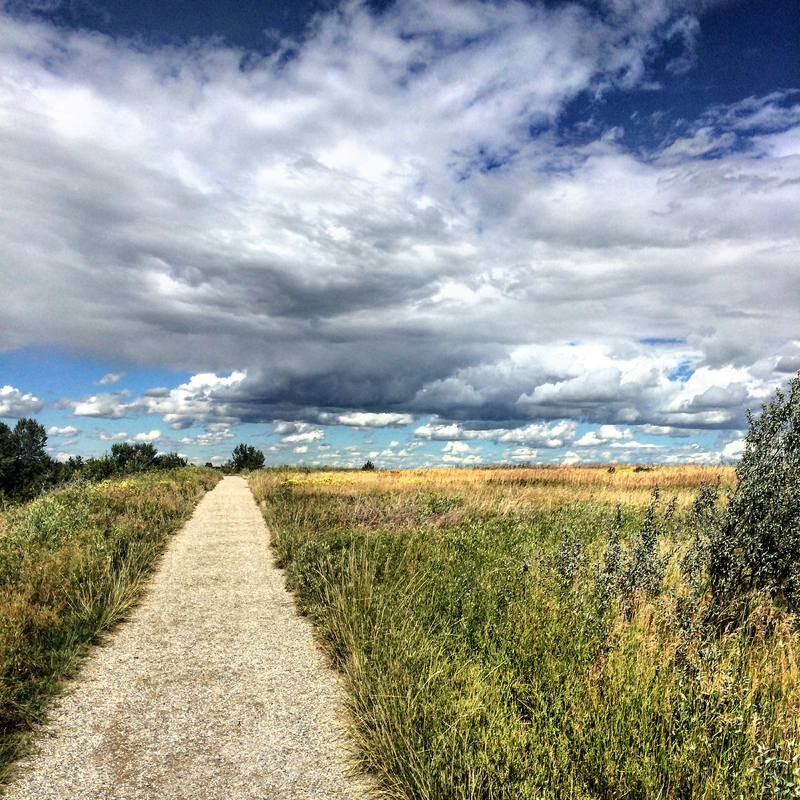 The park’s myriad trails provide year-round, wide-ranging recreational opportunities including a busy off-leash area, giving residents the backyard wilderness experience that many of us so crave. 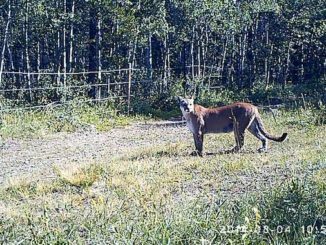 The park still offers splendid views, but instead of searching for wandering herds of bison it now provides stunning vistas of the Canadian Rockies, the Bow River Valley, the eastern plains, and city itself. ~Excerpt from David Thompson’s journal dated November 24, 1800. 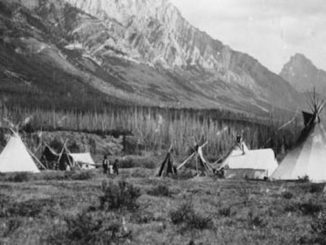 Thompson had left his Bow River camp and spent four hours at an elevated location describing what he saw. 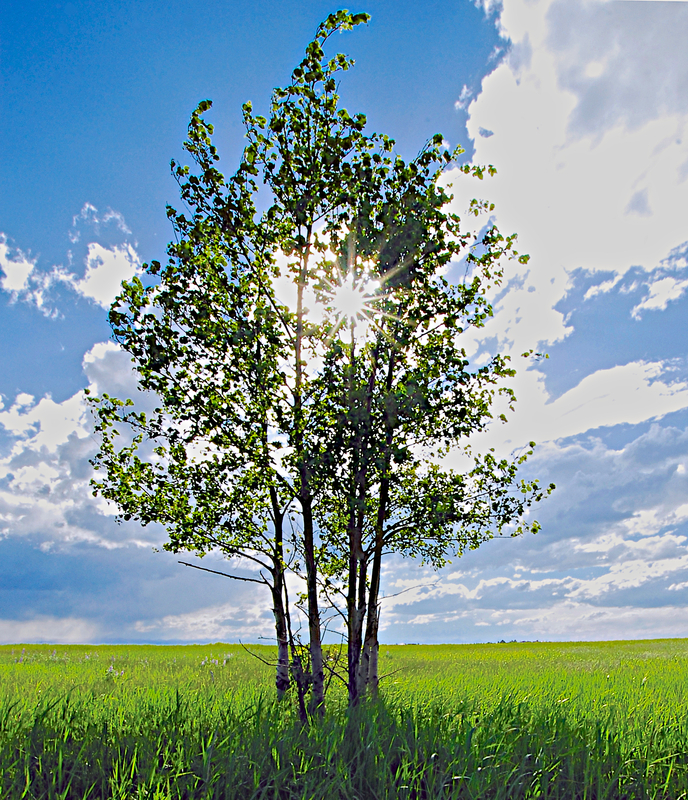 For additional information about Nose Hill Park please visit the Friends of Nose Hill website. 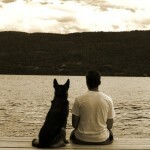 I would also like to take this opportunity to thank Chris Sullivan for his incredible photographs. Without his contributions this story definitely wouldn’t be as interesting or as eye-catching. For more of Chris’ work please visit his website or follow him on Instagram.